In the Hitchcock/Truffaut interview, Hitch talks about trying to get Carey to play a villain -- he was impressed that Carey had "great horny hands, like the devil." If I recall correctly, Mrs. Carey ripped into the director for even suggesting her role-model husband do anything wicked onscreen. You're not alone, John... I just saw THE VANISHING LEGION and realized Harry was my age. 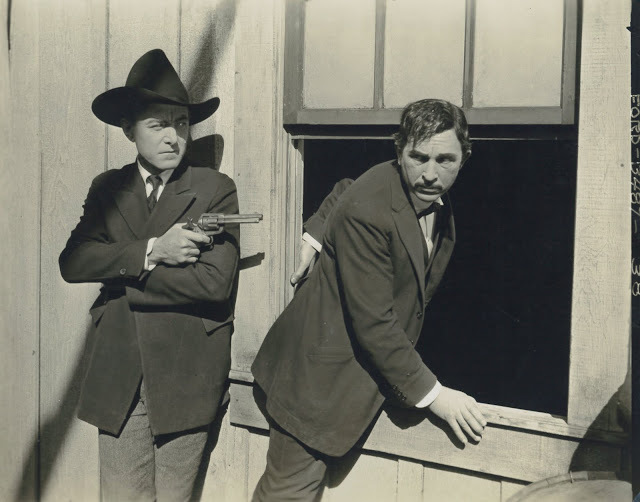 This sort of thing happened a lot on Poverty Row: the Weiss Brothers hired Billy West to star in a series of two-reel comedies; when the year was up, they hired Snub Pollard to be their headliner; when his year was up they got Ben Turpin. 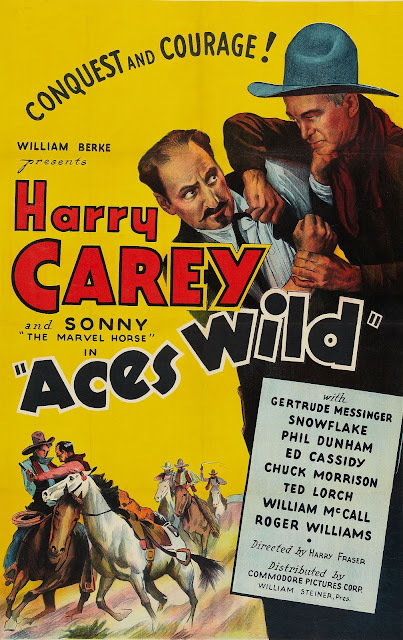 Anyway, I suspect that's why Harry Carey turned up working for William Berke in the mid-'30s. Berke needed someone to headline a short-term series for Commodore (Berke's concurrent Jack Perrin series went out through Reliable), and Carey had a trusted brand name that neighborhood theaters would gamble on. Donald, I'd read about Olive's nix of the "Saboteur" role for husband Harry. Too bad he missed out ... that would have been some memorable casting. Scott, you really know your westerns. I'm getting deep into these myself, and have recently ordered the Tim Holt DVD set from Warner Archive, which looks to be very nice. 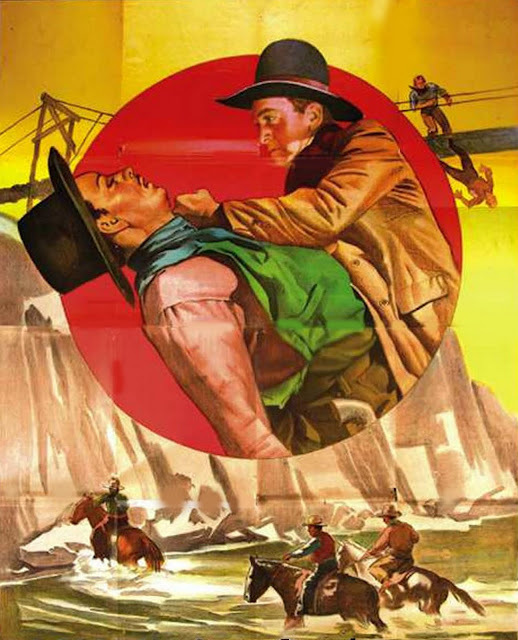 I had never seen Harry Carey in anything, but his long shadow had loomed in The Searchers' respectful tribute. I had read about him in various Ford biographies. Then, very recently, I watched Branding Broadway and was immediately charmed by the man. He WAS a great star of the early western sky. I have to put in a plug for "Bucking Broadway" 53 minutes long and a lot of fun. 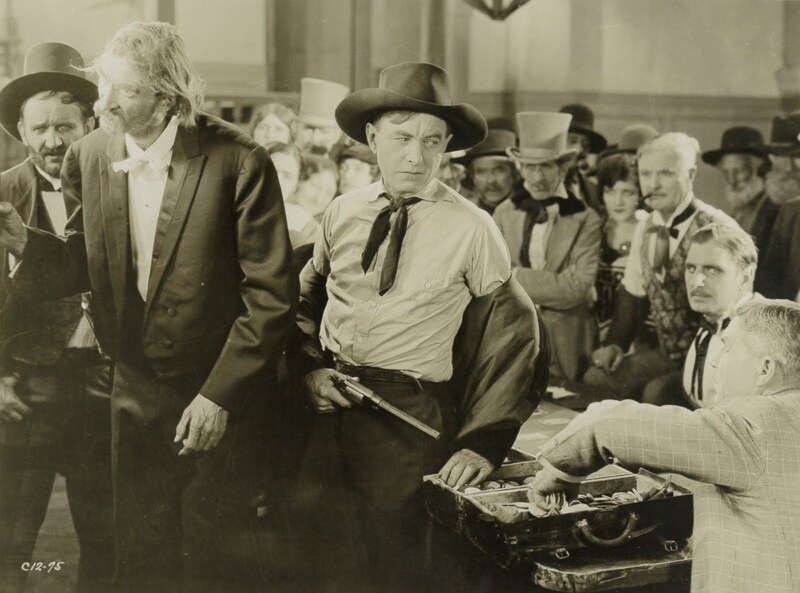 Carey's bit part in Red River.Angel and The Badman and a super 8mm blackhawk print of Musketeers Of Pig Alley were my introduction to the man..
John, for my money the best of Harry Carey's sound Westerns is THE LAST OUTLAW, a "dramedy" made in 1936 by RKO that co-stars Hoot Gibson and Tom Tyler. Based on a story co-written by John Ford, he intended it to be his followup film to THE INFORMER. 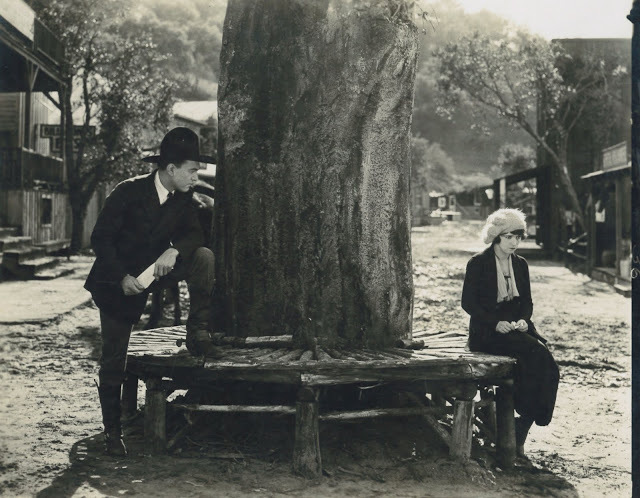 As it turned out, RKO removed him from the modest LAST OUTLAW after he won the Best Director Oscar for THE INFORMER and replaced him with Christy Cabanne, but the picture still turned out quite well; even the New York Times reviewed it (a rarity for a lowly B Western) and raved. THE LAST OUTLAW is not easy to find on home video these days but well worth the effort. Just watched Harry in TRADER HORN again. Now that's a bizarre, creepy movie. Christopher, watching TRADER HORN, I have the same feeling as if I were watching WHITE ZOMBIE. I'd love to find a copy of it..don't know why its not floating around anywhere,It used to get almost as regular a run as White Zombie..I'd seen alot of things before Trader Horn,but there were certain things about it that I found "disturbing".